Description Upgrade your piggies and guide them safely to Pigsland. Follow the leader! Controls MOUSECLICK or press [Z] to jump. 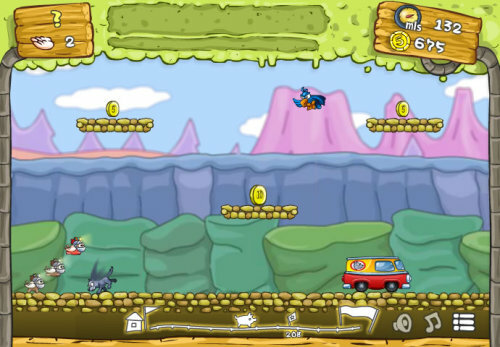 Collect coins to buy new pigs and upgrades to make it past various hazards. Guide your piggies to Pigsland!